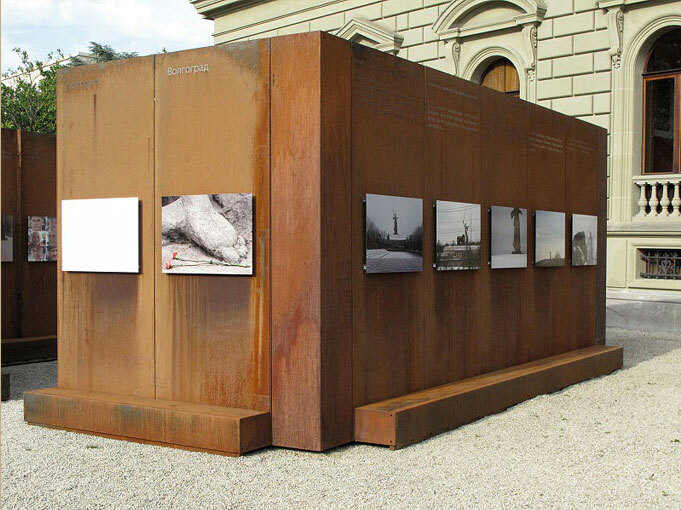 Exhibition of works of the Swiss photographer Maurice Schobinger, dedicated to the 65th anniversary of the end of the Second World War and the Great Patriotic War, was held in Ariana Park in Geneva from June 11 through July 4th. 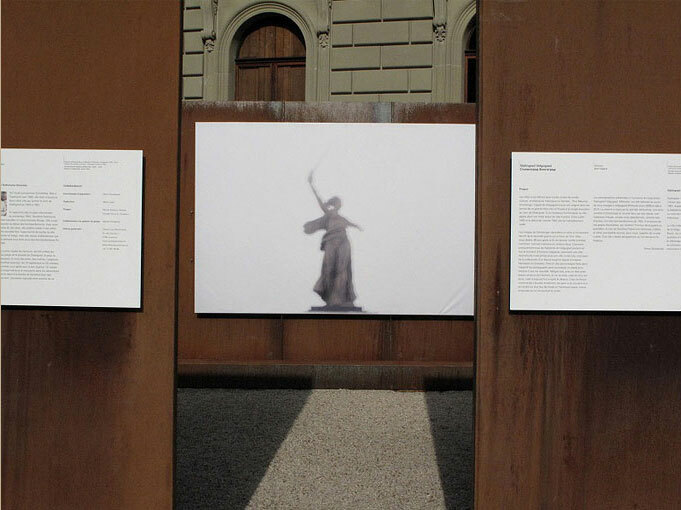 This exhibition is organized with the support of the City of Geneva and the Neva Foundation under the auspices of the Russian Embassy in Bern and of the International Museum of Red Cross and Red Crescent. 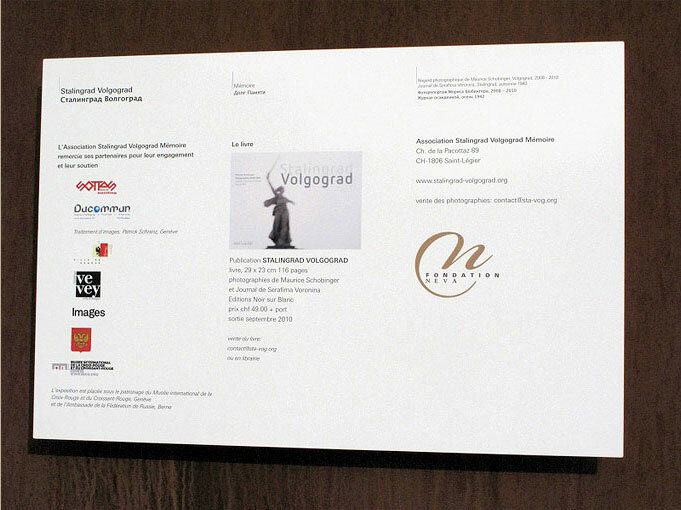 In April 2010, the exhibition was held in the Central Museum of the Great Patriotic War in Moscow, in the Museum of the Battle of Stalingrad in Volgograd, and then in Lausanne. After having been held in Geneva, it moved to Zurich and Vevey. The exhibition was inspired by a private journal of Serafima Voronina, a witness of the Stalingrad Battle who perished in her native city in october 1942. Mr. Schobinger got to see this document during one of his trips to Russia. 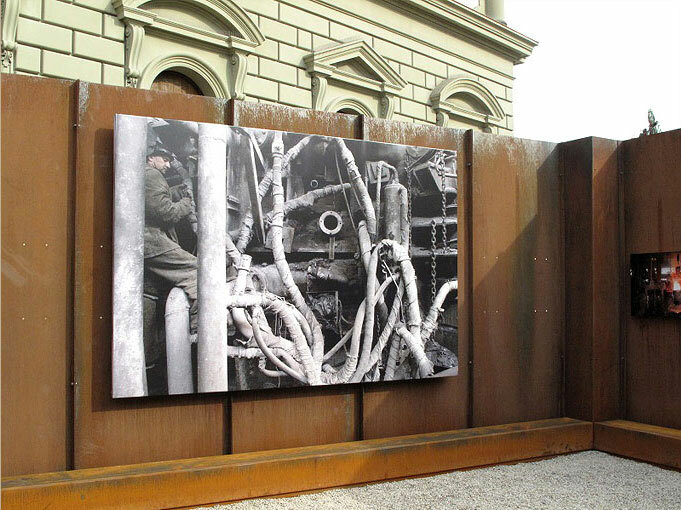 Maurice Schobinger explains: "It has been a while since I started contemplating a photo exhibition in memory of the Second World War, especially on the events in the Eastern front. I consider it as a tribute of a Swiss citizen to all those unknown heros who won over the nazi. My particular interest is due to my grandmother who was born in Moscow in a Swiss family. After the 1917 Revolution my family had to leave Russia, but its attachment to the Russian language and culture remained. I was brought up with stories about the heroic citizens of Stalingrad, which is why the chonicle of the events had a different meaning for me, one meaning which can only be perceived by an admirer of the great Russian people. The appeal to the duty of memory was instant. And Volgograd has become its natural subject". 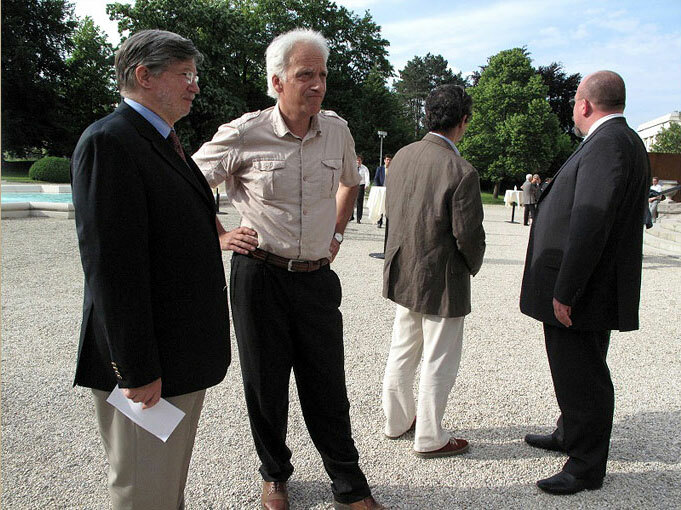 The inauguration of the exhibition "Stalingrad Volgograd Memory" took place on June 10th 2010 in the Park of the Ariana Museum.